"Through the eyes of the East"
More About This Title "Through the eyes of the East"
"Poetry has always been my first love, ever since I studied the works of the famous international poets at school. I am originally from Pakistan--an area rich in culture and literature--and belong to a literary family myself. I have been dabbling in limericks and poetry since childhood, and have won prizes in literary competitions, as well as the first prize in an international short story writing contest. Life has dealt me some hard knocks, and poetry provides an outlet for the rainbow of my emotions. I do not wish to sound pompous or pedantic, but I feel that in the fast-changing landscape of the world, traditional values are being pushed into the background, by those who are chasing the superficial mirage of materialism. It will be your companion true."" Of impassioned love and pain."" 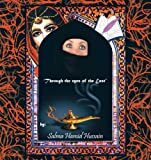 I started by writing these poems, more as a source of guidance for my children, and grandchildren, so that they could open the book, and find the message they might be looking for, or to get the right perspective on values. As I wrote, my verses seemed to evolve into a politically correct universal message. Life does not come with an instruction manual, but I hope that this book will be able to help the younger generation, in particular, even in the smallest way, to acquire a spiritual perception of life."